For centuries, Iran has been producing some of the world’s most influential and inspiring poets, whose works revolutionized the literature of both the East and the West. Spanning themes of love, divine mysticism and human rights, their poetry is an incredible contribution to Iranian culture, and remains entirely relevant today. Here we profile 10 of the most inspiring Iranian poets. Forough Farrokhzad’s poetry is an expression of defiance and resistance. Herself a controversial figure – she divorced her husband in her early twenties and had a wide range of male friends with whom she unashamedly spent great amounts of time – her poetry too became controversial for its bold, female voice and its harsh criticism of the position of women in Iranian society. Farrokhzad’s poetry does not flinch away from depicting emotion, rather the author’s feelings and passions are unapologetically present, making her work not only politically engaging, but intensely personal. Through her writing, Farrokhzad became a voice for women on both a general and individual level. The daughter of two poets, Simin Behbahani was surrounded by literature and verse from a young age, and began writing her own poems before she became a teenager. Nominated twice for the Nobel Prize for Literature, Behbahani is remarkable for her incredible influence both in Iranian poetry circles and in issues of human rights; her poetry is highly political, reflecting her strong feminist views and critique of society under both the Shah and the Islamic Republic. Exposing the tragedy of poverty, prejudice, and war – in particular the Iran-Iraq war – Behbahani’s poetry is a voice for the oppressed and marginalised in Iran. One of Iran’s most prominent female poets, Parvin Etesami began writing poetry from a young age; her first published works appeared in the Iranian magazine Bahar in the early 1920s, when she was just a teenager. 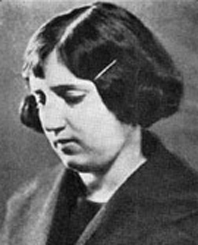 Throughout her life, Etesami’s work was a marriage of the traditional and modern; while her poetic style eschewed the new modernist styles and adhered closely to the forms and structures of classical Persian poetry, in particular its ghazals, the content of her writing remained decidedly contemporary, discussing the problems of Iranian society at the time. Through beautiful allegories and imagery revolving around nature and other typical motifs, Etesami exposed issues of women’s right, poverty and social injustice. 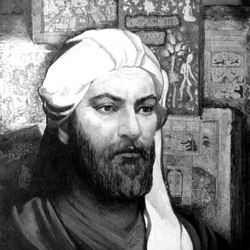 One of the greatest romantic poets of all time, Nizami Ganjavi had a powerful and unique effect on Iranian literature. 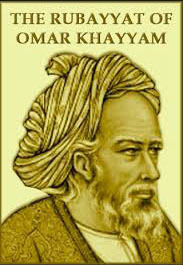 He is most famous for his long narrative poems revolving around themes of love and passion, such as Khosrow and Shirin or Leyla and Majnun, both of which are culturally comparable to Romeo and Juliet in the English-speaking world. Ganjavi is notable for uniting the long narrative epic form, usually associated with tales of heroism or mysticism, with tales of human emotion and passion, thereby revolutionising the genre. Written in beautifully lyrical, courtly language, Ganjavi’s poetry uplifts and glorifies the concept of love, validating its presence in poetry alongside ideas of the divine. 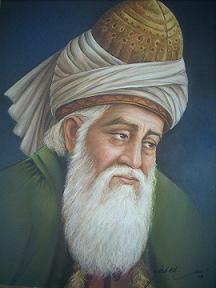 Not only one of the most popular poets in Iran, but one of the most influential poets worldwide, Rumi’s poetry has inspired other writers and readers for centuries. His work is largely spiritual, stemming from his Sufi beliefs and his position as an important spiritual teacher and leader. Revolving around ideas of universality, divinity and love in all its manifestations, Rumi’s verses are astonishingly insightful, and made all the more powerful by their intense lyricism and beauty of expression. One of his most famous works, The Masnavi, is a collection of over 25,000 verses filled with tales, moral discourses and analogies which explore the relationship between the self and God. One of Iran’s most influential poets of recent times, Sohrab Sepheri revolutionised Iranian poetry with what became termed as ‘New Poetry’ – a form of modernist writing which ignored the metre, rhyme and structure of classical verse in favour of new, unconstrained forms. Sepheri married Western poetic traits with traditional Eastern ones, thereby creating a fresh new style and perspective through which his ideas could be presented. Although not shockingly political or subversive, Sepheri’s poetry remains challenging, questioning pervasive social and ideological norms and advocating for new perspectives which positively embrace all of humanity. Widely considered to be the forefather of modern Iranian poetry, Ahmad Shamloo was one of the first poets to abandon the strict classical style of previous poetry and instead employ a free style and structure. What makes his work so complex, however, is his continued use of allusions and references to traditional, beloved Iranian poets such as Khayyam and Hafez. His poems thereby become an intersection of the past and present, using old, familiar imagery in new forms to create innovative, yet culturally relevant and personal poetry. Shamloo also wrote the Book of Alley, an enormously influential 13-volume work which compiles and reviews the history of Iranian folklore.